Last week I posted a review of the book Happier Thinking and since reading it I have been making a conscious effort to incorporate and utilise the techniques and tips it discusses. Taking on board these changes got me thinking about other things I could change in my life to help attain a more positive outlook on life. Like thousands of other women out there I lack self-belief which has a knock-on effect for my well-being as a whole and is something which I know I need to work on. This lack of belief that many women harbour was the inspiration behind the brand-new subscription box, Perfectly Positive created by business mentor Katie Colella. Katie is an award-winning entrepreneur who started her first business at the tender age of 18. With heaps of experience behind her she now uses her knowledge to help mentor women starting their own online businesses. Perfectly Positive is her brand-new venture designed to help women improve their mindset, confidence, self-belief and self-esteem by delivering a monthly box of positivity direct to your door. Drawing on her own experience Katie hand picks a box of goodies and each membership also includes a whole host of online resources and exclusive access to the Perfectly Positive Facebook group. A guest speaker – topics could include meditation, visualisation, confidence, mindset etc. The first thing I have to say about my box is that before I even opened it I could smell the gorgeous incense! It’s been years since I burned incense and I was super excited that there was some included! This box couldn’t have been any more perfect for me especially with the inclusion of amethyst as it helps to relieve stress and anxiety, instead attracting positive energy, something I definitely need in my life. I’ll openly admit I had a very limited knowledge about crystals and have really enjoyed learning more about how to use, cleanse and incorporate them into meditation thanks to the online resources. I love the positive affirmations that are included too. The print is now displayed in my bedroom in a prominent place as I think it’s so important to remember the message that ‘There is good in every day’. Often, we forget that even if something ‘bad’ happens there is always something positive to focus on instead. As any regular readers will know I adore stationery of any kind and I’m kind of in love with the notebook included in this box! For starters I LOVE the saying ‘Be A Peacock In A FieldOf Pigeons’ it’s something everyone should try to be! The notebook is a gorgeous bright deign and of a high quality too. It would be ideal to use as a positivity journal to note down a positive thought a day to look back on when you need a boost. This month’s book review of The Big Leap By Gay Hendricks* was delivered via an online live video. I love book reviews and finding out about new titles and being in video format was a refreshingly different way for it to be presented . 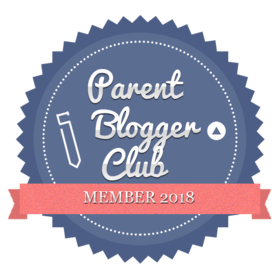 Throughout the month there were plenty of updates and new posts in the Facebook Group which were filled with information and ideas that I really enjoyed and found useful. I like that over time the resources available within the group will continue to grow and be available for new subscribers to utilise too. I love this subscription box as I feel it offers something unique that I haven’t seen before. Not only do you get a box filled with goodies but a whole host of online, digital extras all with the sole aim to help you improve your mindset, confidence and self-belief. I’ve certainly learnt something which is always fabulous, and I will be using the information I have gleaned to help me achieve my goal of increasing my happiness and positivity. Boxes cost £25 for one month, £70 for 3 months or £275 for a yearly membership and can be purchased from the Perfectly Positive Website. You can also find out more about Katie Colella and Perfectly Positive over on her Facebook page. Fancy trying out Perfectly Positive for yourself? Katie has kindly offered one lucky reader the chance to receive a box identical to the one featured in this blog post. For your chance to WIN simply follow Fraser’s Fun House on Twitter and RT our Pinned Post. The notebook is gorgeous, it would be perfect for a positivity journal as you said.